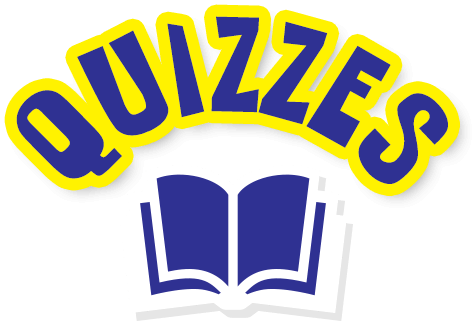 HomePony HangoutQuizzesThe great PONY general knowledge quiz! Think you know your stuff? Take our quiz to test your knowledge, and earn bragging rights over your mates! 1. On what colour of pony are melanomas most commonly found? 2. What side should you mount, dismount and lead a horse from? 3. Who is the only rider to have won the Rolex Grand Slam of Eventing? 4. How many penalties would you get for a first refusal cross-country? 5. On which horse did Scott Brash win Team Gold in the 2012 Olympics? 6. What is the smallest breed of pony? 7. How many stages to a jump are there? 8. What is a pelham? 9. What is a crupper? 10. What is the difference between a mule and a hinny? 11. Why might you use overreach boots? 12. What is a trakehner fence? 13. What is Valegro’s stable name? 14. What breed of horse has one fewer pair of ribs than other breeds? 15. What year was the first Badminton? 16. Which rider completed Badminton with only one stirrup? 17. Which combination won Burghley three times in a row? 18. Where are a pony’s blind spots? 19. Which breed of horse is nicknamed the Golden Horse due to their shiny coats? 20. What breed are racehorses? 21. What is the point between a pony’s ears called? 22. What point do you measure a pony’s height from? 23. What colour ribbon should a pony wear in his tail if he kicks? 24. What breed of horse is closely associated with the Spanish Riding School of Vienna? 25. On which part of a pony’s body might you find a splint? 26. How many inches are in a hand? 27. How do you determine a pony’s age? 26. Who rode the famous horse, Milton? 29. Name the well-known yellow plant that is poisonous to ponies. 30. What is a dorsal stripe? Uh oh, you might need to brush up on your horsey general knowledge! Make a start by reading up on all those old PONY magazines you have lying around, then try our quiz again! You’re pretty good on pony general knowledge, but you still have a fair amount to read up on. Keep doing what you’re doing, and you’ll be a pony boffin before you know it. Wowzer – you’re a true pony genius! If anyone has a pony-related question, you’re the person to ask. It must be all those PONY mags you’ve read over the years – good work!